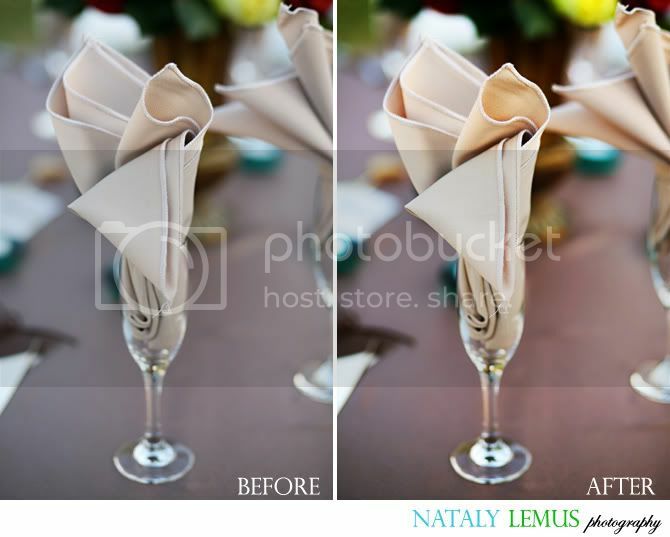 I finished editing a wedding today and had a few before and after shots I wanted to show you. Since I don't have a lot of time I'll show you a detail shot that only had 2 steps done to it. It's not a major difference, but I think the after shot really pops. The couple usually gets the before (sharpened and color corrected) and the after. I'll post the rest I wanted to show you during the week!